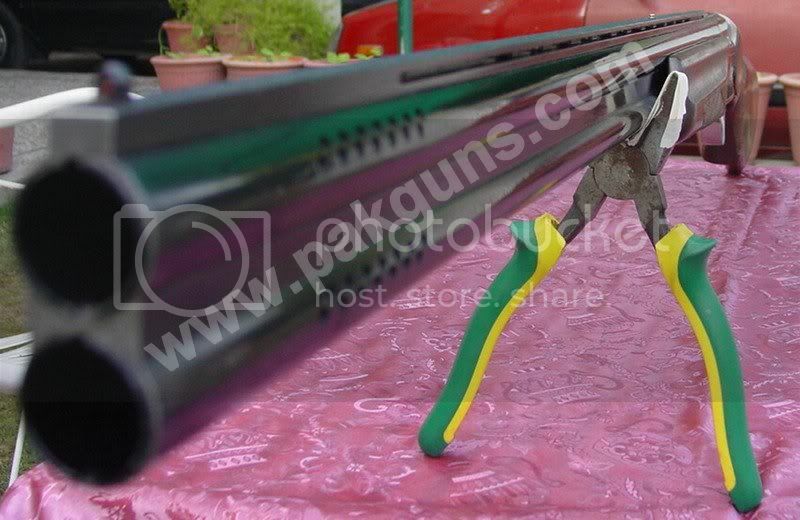 PakGuns.com - Review: Baikal MP27-EM-1C "Sporting"
In the world of shotgunning, there are hunting shotguns, designed specifically for field use. they are designed in a way that minimizes weight because after a good walk in the field even a 6.5 pounder gun feels like a ton. 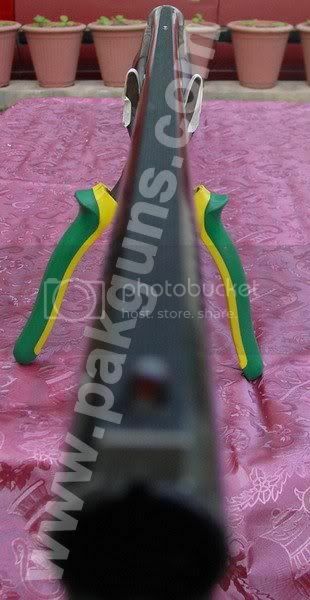 Then there are sporting shotguns. 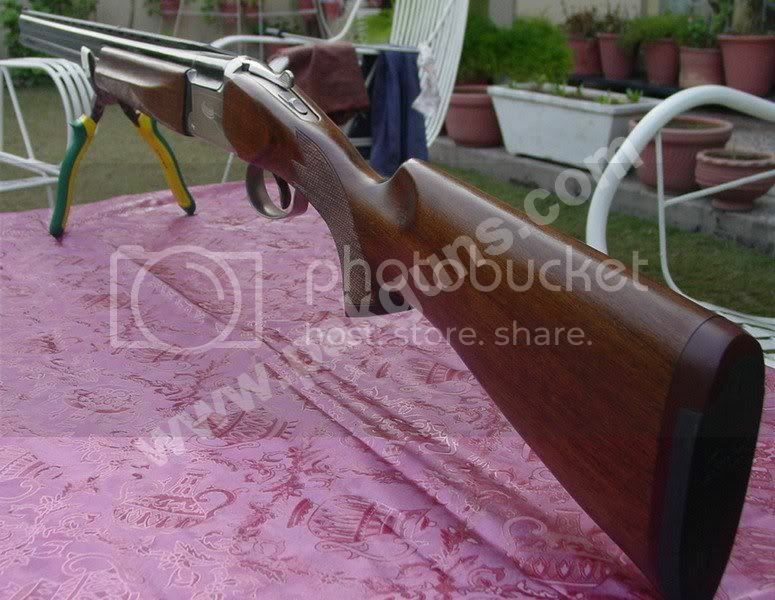 They are built, either from ground up or converted from a hunting platform, for sporting use. along with solid build, they offer certain features which aid in sporting use. 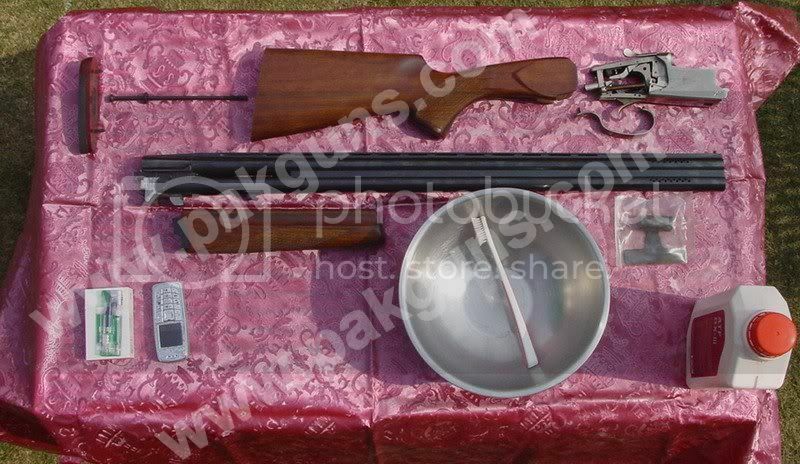 the reason for a solid built gun is that a sporting shotgun has to withstand high volume shooting associated with typical shotgun related sports. Weight is usually of a lesser concern because the operator doesn't have to carry it all day long. when the turn is up, he/she has to put it back on the stand. infact, more wight lessens recoil and makes the swing more smoother. 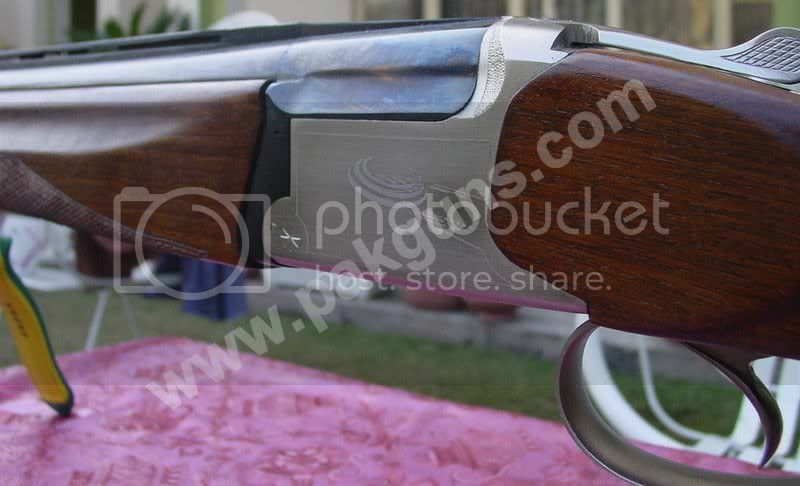 Mostly, sporting shotguns are expensive when compared to their hunting counterparts. almost all major shotgun manufacturers offer a sporting lineup along with typical hunting product line. Similarly, Baikal MP-27-EM-1C "Sporting" is a shotgun offered by "IZHEVSKY MEKHANICHESKY ZAVOD", for the shotgun related sporting activities. (Shotgun courtesy of Stigma). 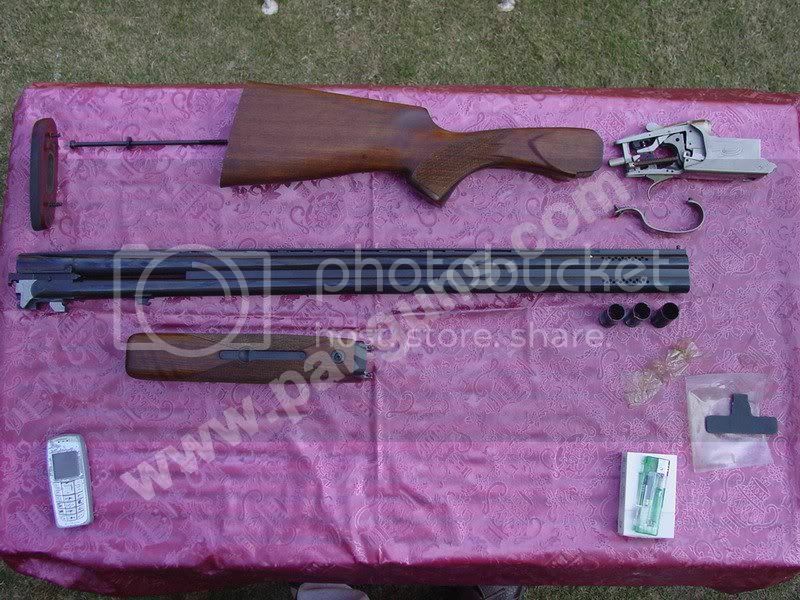 This gun is not a "built from the ground up" type shotgun rather its a regular Baikal hunting platform shotgun transformed into a sporting use shotgun by some pretty clever conversions and by offering certain features which are big plus in sporting use. Weight: 7.9 pounds. this particular piece came at around 7.7 pounds. weight usually varies from piece to piece due to wood density. Trigger Pull: 4.5 pounds (could be wrong cause i'm only using a spring scale) but to me, the trigger pull seems just about right. Balance Point: 2.5 inches ahead of the receiver or right under the forend screw. 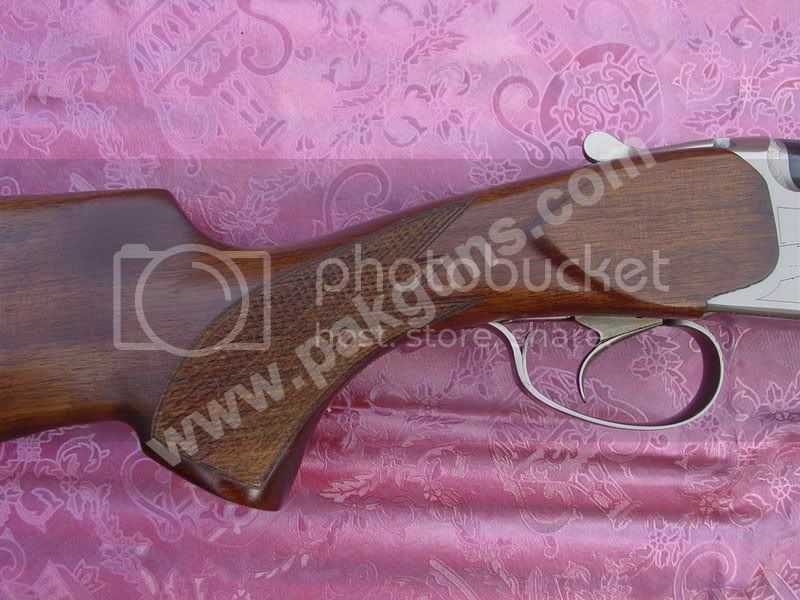 Receiver, Walnut Stock With Right Hand Palm Swell and Cast Off, Hand Cut Checkering, Competition Walnut Forend, Wide Vent Rib, Double Sight Beads, Deep Engraving, Hammer Forged Barrels, Precision Barrel Porting, 3 Screw-in Chokes. 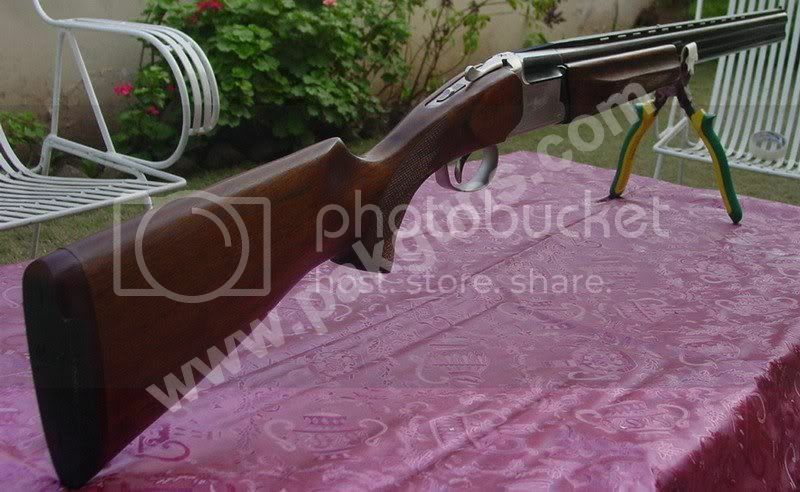 open the gun up, you'll not only find that the shotgun features same internals as a hunting shotgun but is full of some of the nastiest and strangest stuff in the shotgun world. this ofcourse necessitates a through cleaning before we more forward with a full review. There u go, everything all clean and SHINY. Now let the pictures do the talking afterwards I'll step in when they'll shut up. the wood to metal fitting is superb. I specially like the furniture on this one. its way better and gives a more solid feeling when compared to regular hunting shotgun. the wide rib is very easy to acquire and very easy on the eyes. 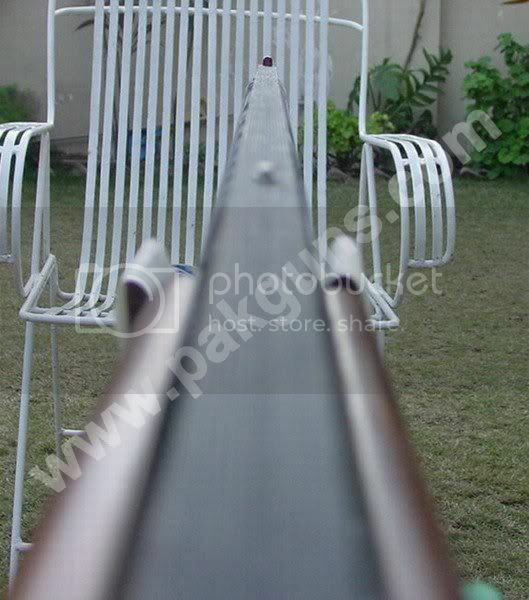 its straight as it could be with no manufacturing flaws of any kind. the two bead system is also good however I did not like the front bead setup. it should have been a white bead or a bright glowing fiberoptic bead. this one falls short in terms of easy acquisition. however they are easily replaceable and I would strongly recommend that they should be swapped with Marble Arms front bead. both beads are truly centered on the rib. The bluing is nice and deep. typical of double dipped bluing. the polished nickel finish on the receiver is flawless and the engraving (image of a clay in motion) is deep and high definition. feels nothing like like a laser engraving job. so i'm guessing that its some other method of engraving. could be stamping. 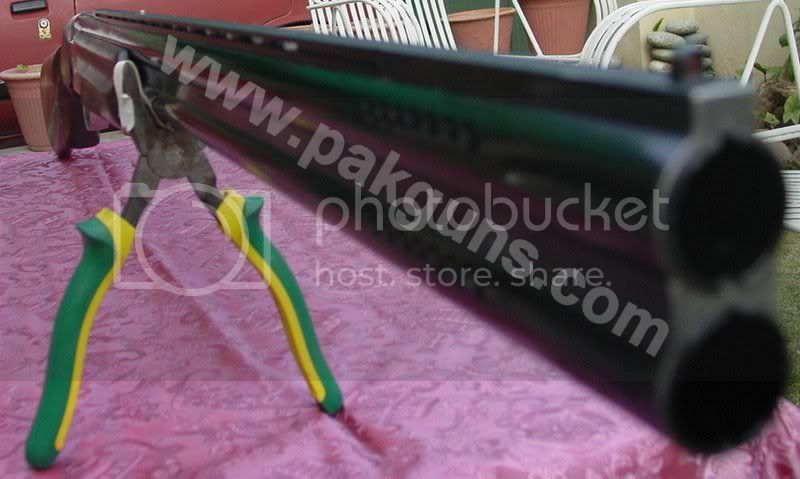 The forend is nicely shaped and provides a hearty grip. The checkering is deep and sharp with decently clean and fine lines. way better than regular hunting model. the recoil pad features a plastic heal to aid is snag free mounting. the rubber is firm yet soft enough to tame recoil. 2. hard opening and closing of the boxlock receiver. 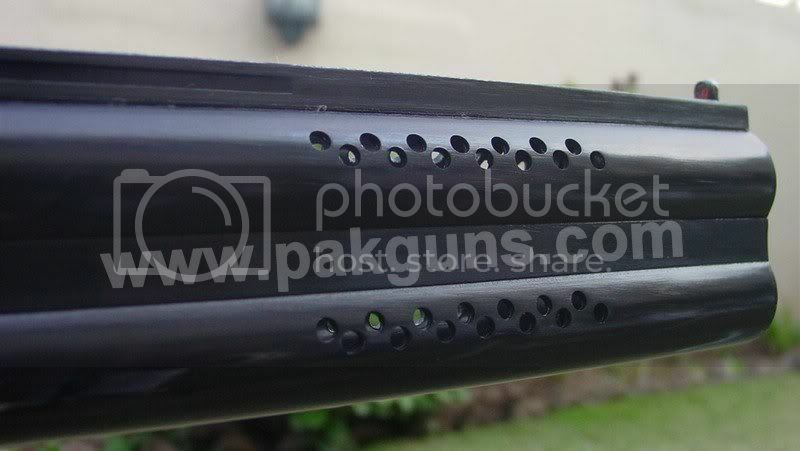 this is typical of all brand new Baikal shotguns. 3. hardness of the safety switch. 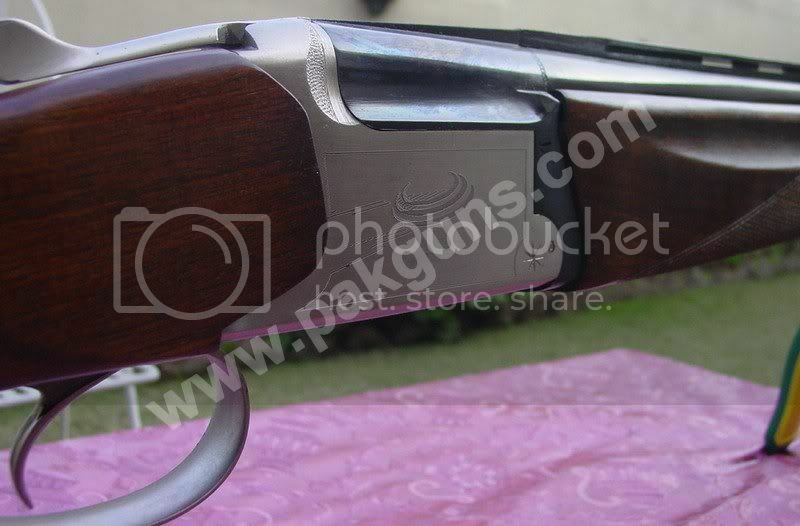 this is also typical of all brand new Baikal shotguns. 4. rough and sharp metal edges here and there. Russian Finish, cant really complain right? 5. engraving: it is supposed to look like a clay bird in motion instead to me it looked like a flying UFO (saucer) or may be a Frisbee. a simple and elegant floral design would have been a lot nicer. 2. the recoil pad finish: I dont know what to say about it. the design is good but the finish is so poor that one cannot look at it for more than two seconds. its presented in strange red color (looks brownish) which looks worn out and kinda cheapish. 3. the internals had some of the nastiest stuff on the planet. all sorts of funny looking preservative along with wood and metal shavings were all over the place. 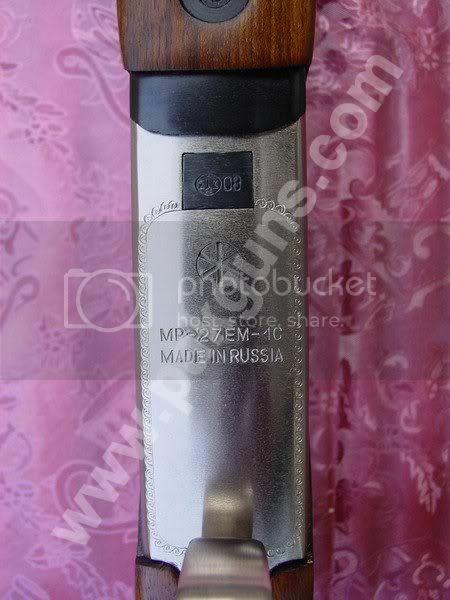 4. the bottom choke tube was literally stuck. I had to use all my force (to a point that I got a good bowl movement afterwards) just to unscrew it out for cleaning. I was surprised to see that the threads were fine and clean and it was the preservative which jammed the choke in its thread. the company should have used some sort of antisieze/copper grease instead of regular preservative. regular preservatives are used only for rust protection and upto some extent lubrication. they are not designed for threaded applications and long term storage. Baikal MP-27-EM-1C "Sporting" offers everything that a sports oriented shotgun should and at a price that probably no other manufacturer can compete with. 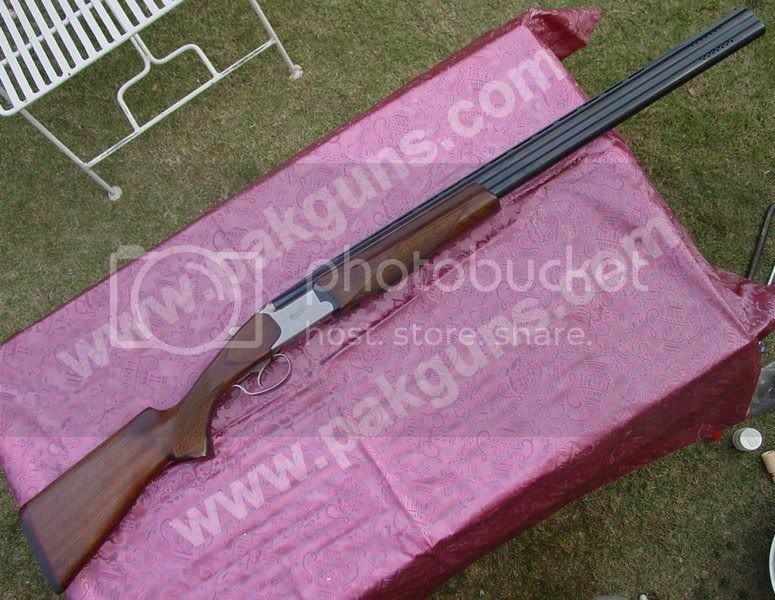 it not only offers excellent utility but it also offers some features that are present on high end shotguns priced many times more than this Russian Shot Spitting Beast. if one wants to get the most out of their hard earned buck then Baikal MP-27-EM-1C "Sporting" is probably the best budget gun that money can buy.